Known for staunchly rejecting any compromise of their vision or conforming to being politically correct, Rammstein is one of, if not the most unique bands on earth. Their internationally-acclaimed shows take the term spectacle to a whole new level. Their outspoken lyrics, driving rhythms and crunchy attacks come together in a contagious groove typically incongruous with industrial metal. Each member is devoted to the same uncompromising ethos, which is evident in their surprisingly tasteful musicality, creative wit and saucy humor. Paul Landers has been a long-time user of Tech 21 gear, both the SansAmp GT2 and SansAmp PSA, which is especially prominent in their worldwide smash "Du Hast." While he liked the format of the Fly Rigs, Paul was looking for a different feature set. Given Pauls long term relationship with Andrew Barta, it was a no-brainer to collaborate on a Fly Rig to fulfill his individual needs. Just prior to serious discussions on the development, Rammstein were in rehearsals for their 2017 tour. 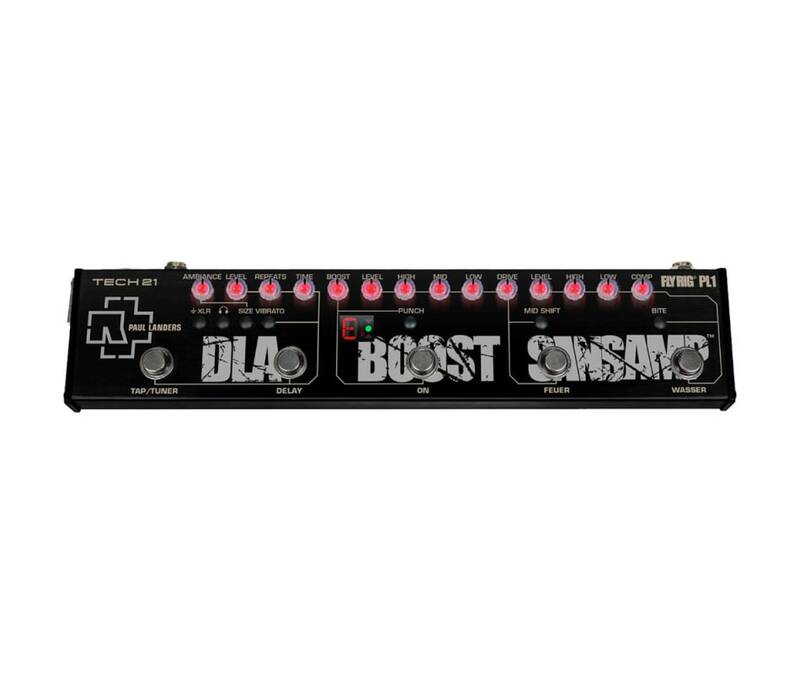 Paul initially opted for, dare we say, a very high-end digital emulator/effects processor. When it unexpectedly went down, he grabbed his trusty SansAmp GT2. It was unanimously agreed by the crew, sound engineers, fellow band members, and Paul himself, the GT2 had more air and liveliness. This marked the initial design foundation for Pauls Signature Fly Rig. Utilizes included 9V DC Universal Power Supply: Model #DC9. Auto-switching, self-adjusting 100V-240V, 200mA. Includes interchangeable international prong assemblies for EU, UK, Australia/New Zealand for use anywhere in the world.